Let’s start by making something very clear: skin tone does not define beauty. It is about time we let go of the outdated standards of beauty where only fair was lovely. If you do want to highlight your inner radiance, you can aim for a clear complexion. Our modern lifestyle puts our skin under near-constant exposure to dust, pollution, and sun damage. 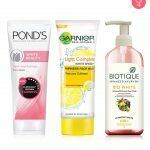 Here are 10 best skin whitening face washes that can help restore your skin’s natural complexion to make it look bright and healthy. 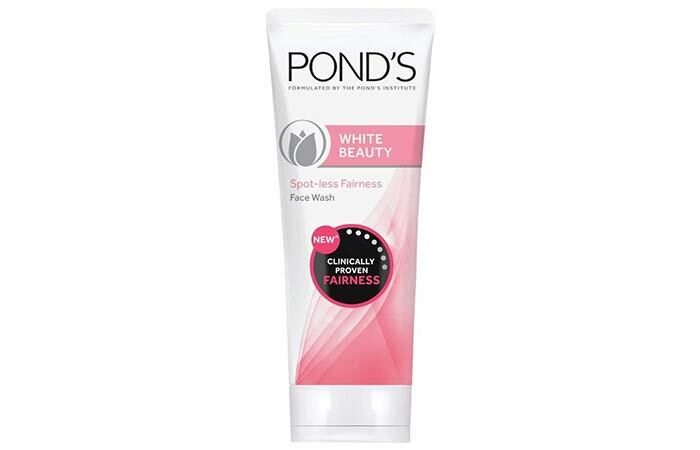 Pond’s White Beauty Spot-less Fairness Face Wash is easily the top face wash because it offers a double brightening action to renew your radiance every day. It removes the dead skin cells that make your complexion appear dull and dark. Its advanced vitamin B3+ formula cleanses your skin and provides spotless fairness. This brightening face wash also strengthens your skin’s natural renewal process. 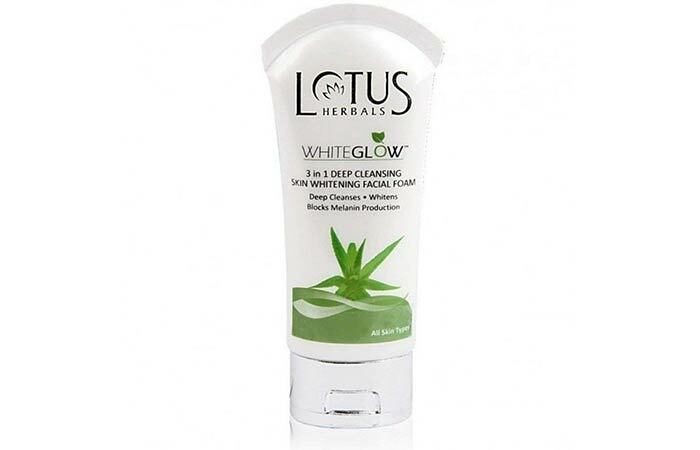 The Whiteglow 3-In-1 Deep Cleansing Skin Whitening Facial Foam from Lotus Herbals is ideal for when you want to cleanse your skin deeply. It brightens your complexion and prevents the excess melanin production that causes skin darkening. It gives you radiant skin upon regular usage. Its formula is enriched with minerals, milk enzymes, and aloe vera gel. It also eliminates excess sebum, dirt, and impurities. 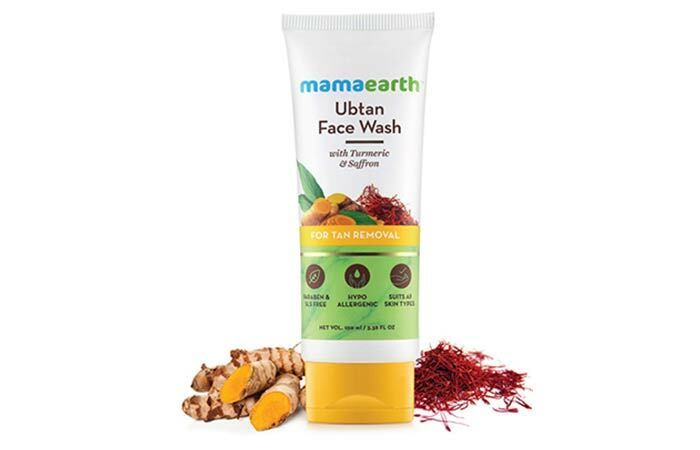 Mamaearth’s Ubtan Face Wash contains turmeric and saffron that impart a bright glow to your skin. The carrot seed oil in this face wash eliminates tan from the top layers of your skin, thereby restoring its fairness. The licorice extracts in it reverse the signs of sun damage, removing dullness and making your skin brighter. The turmeric lightens your skin, and the walnut beads gently exfoliate it. Pond’s Flawless White Deep Whitening Facial Foam is enriched with the new VAO-B3 complex. VAO-B3 is Pond’s Institute’s new vitamin E, allantoin, and optics powered niacinamide(B3) complex that is specially created to deliver flawlessly radiant skin. This foaming cleanser washes away the dirt, oil, and impurities that cause dullness to reveal bright, clean skin. 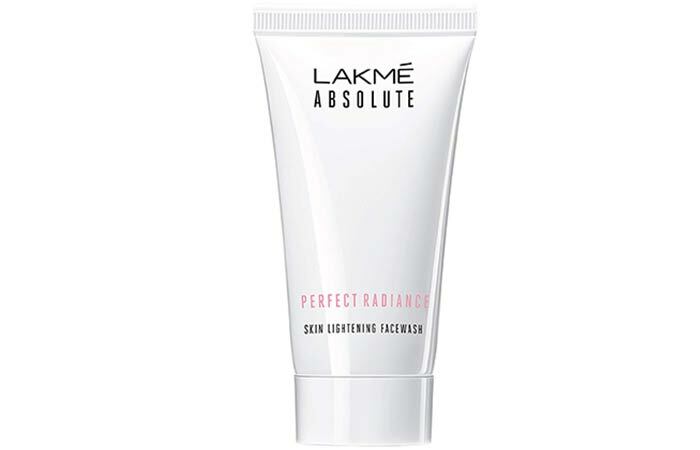 Lakmé Absolute Perfect Radiance Skin Lightening Face Wash gives you a brighter complexion. It contains complex vitamins that nourish and replenish your skin with every use. It fights the six blocks of fairness: dark spots, acne marks and blemishes, uneven skin tone, oiliness, tanning, and dullness. This is the best face wash for women who often complain about clogged pores. It deeply cleanses your pores and eliminates dirt, grime, and makeup. Its regular use leaves you with visibly radiant skin. 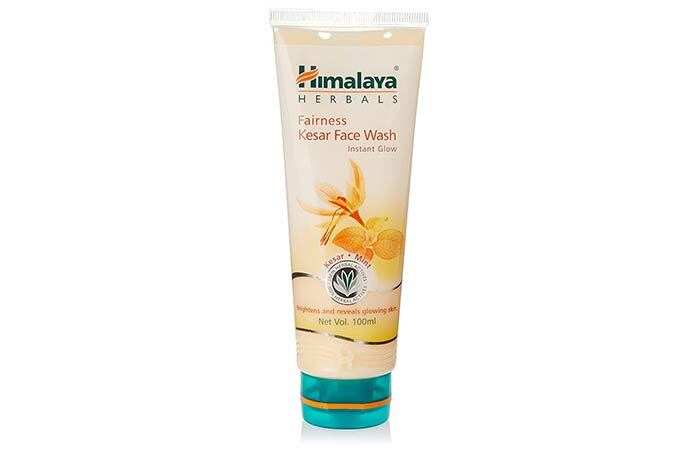 Himalaya Herbals Fairness Kesar Face Wash is a top-rated face wash that brightens and rejuvenates your skin, giving it a healthy and natural glow. It is enriched with kesar, which is well-known for its complexion-enhancing properties. Using this face wash regularly gives you fairer and brighter skin. The pomegranate extracts in this skin brightening face wash nourish your skin, while mint and cucumber soothe and refresh it. 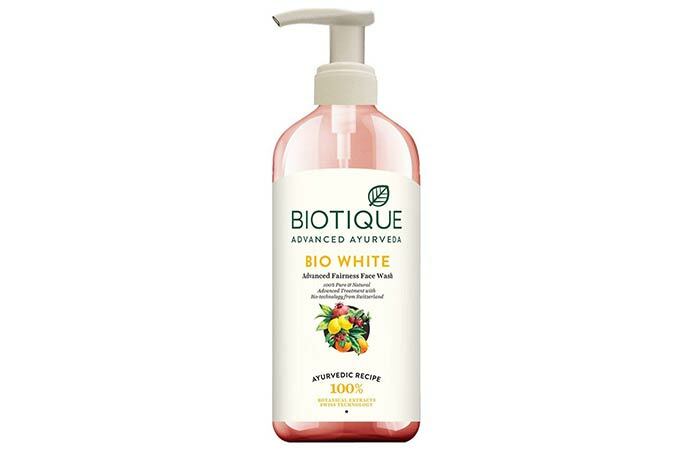 Biotique Bio White Advanced Fairness Face Wash is a fresh foaming gel that is formulated with the juices of pineapple, tomato, lemon, and papaya. Its runny consistency helps it spread quickly and lather well. It lightens your skin tone to give you a fairer and flawless look. With regular use, it can help your skin reclaim its soft, smooth, and youthful tone and texture. 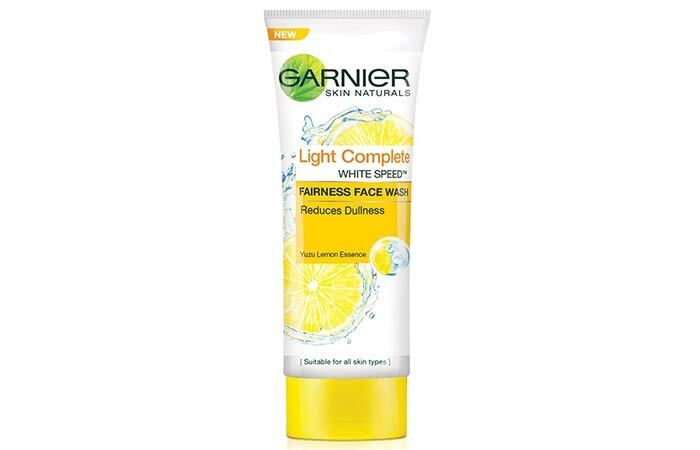 Garnier Skin Naturals Light Complete Fairness Face Wash claims to restore your skin’s natural complexion. This facial cleanser evens out your skin tone, fades tan, and eliminates dullness. It is formulated with purifying agents that effectively cleanse your skin while mildly exfoliating it. It also prevents issues such as acne, pigmentation, and dark spots. 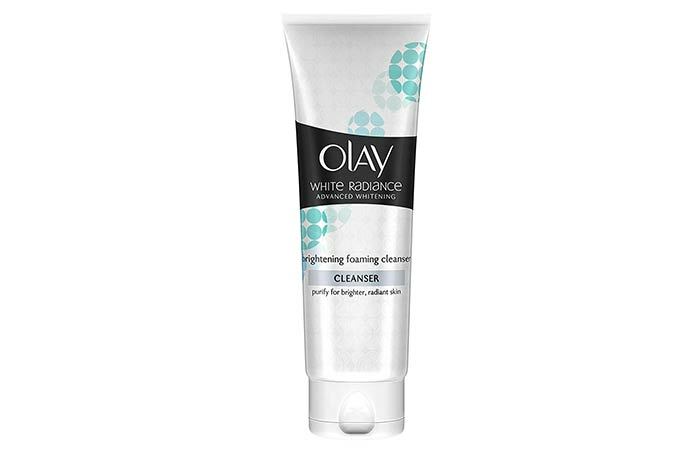 The Advanced Whitening Brightening Foaming Cleanser from Olay’s White Radiance range provides deep cleansing action to remove dirt, excess oil, and colored cosmetics. It reveals your skin’s natural brightness and radiance. Its hydrating and brightening formula delivers ingredients 10 layers deep into the skin surface. It fades out dark spots to give you an even-toned complexion. 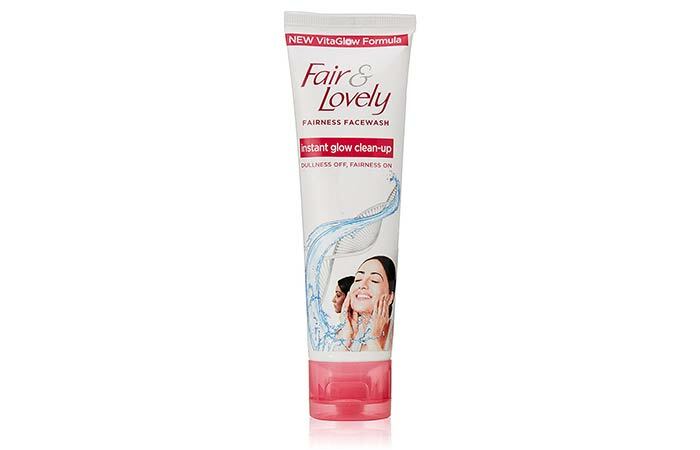 Fair & Lovely Fairness Face Wash is one of the top face washes that gives you a flawless complexion by protecting your skin against heat, radiation, and dust. It contains glycerin, myristic acids, and water that cleanse and brighten your skin without drying it out. It also tightens your pores and improves your skin tone. It provides a 3-step expert action – cleanse, exfoliate, and massage – with its multi-vitamin formula. A well-rounded skin care routine with the right products can help you achieve clear, radiant, and beautiful skin. 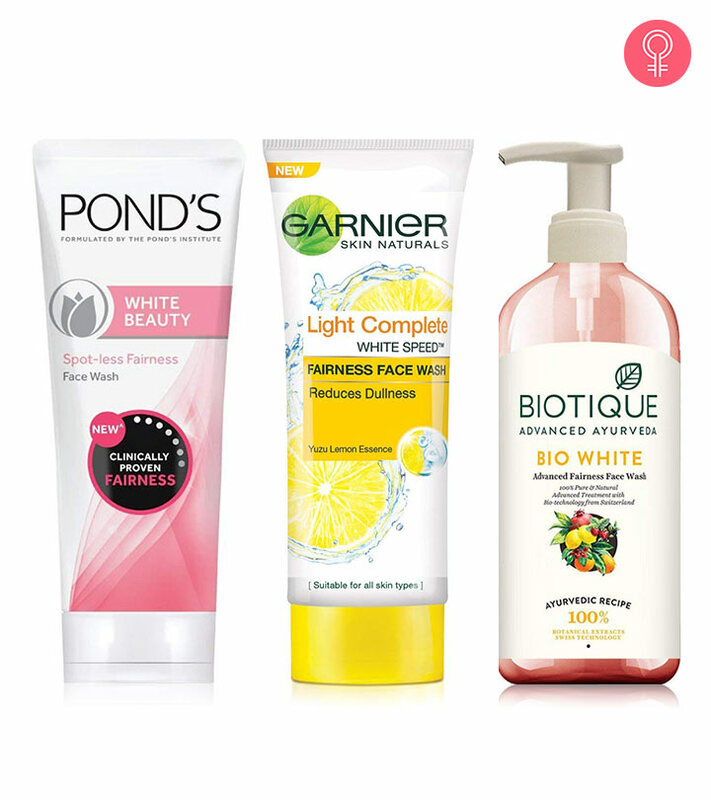 Have you used any of these skin whitening face washes? Tell us about your experience in the comments section below.